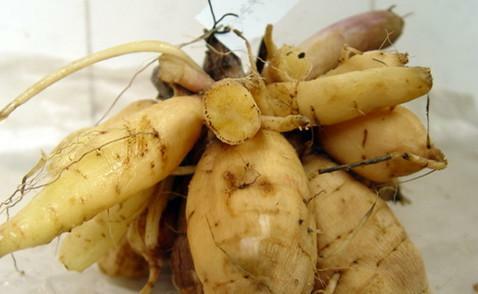 The drug is the root tuber of Dahlia pinnata Cav. (Family Compositae), originally growing in Mexico, cultivated all over China. Pungent,sweet, neutral; liver meridian entered. Dental caries and toothache, traumatic injury, sores and boils, mumps.